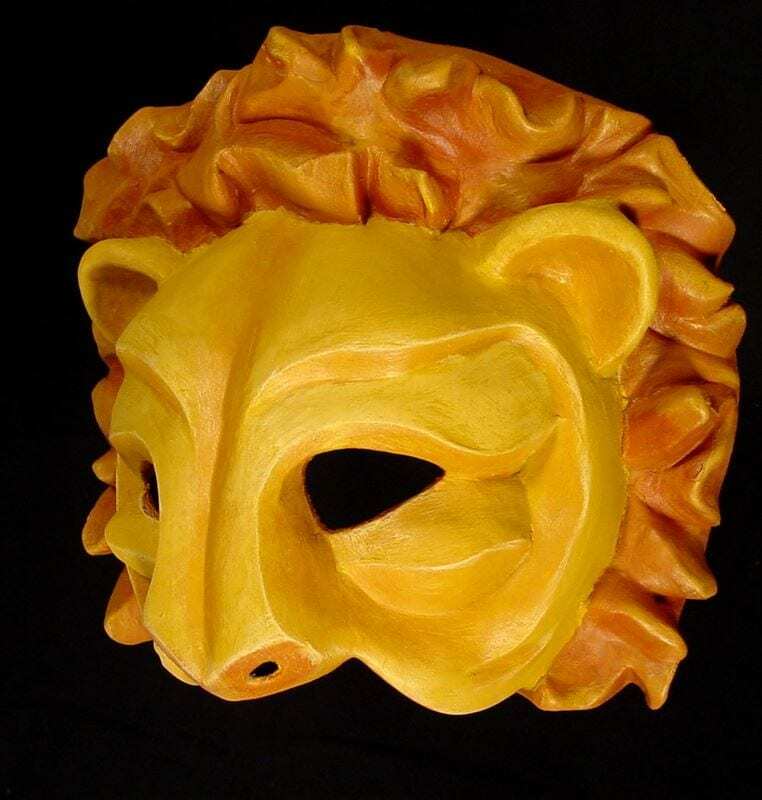 The Lion Half Mask was created for an operatic version of Aesop’s Fables. He looks into the world with a strong resolve and a kind heart. The mask is great for the long run of a show or use in a classroom. It is made of neoprene and painted with acrylics. Lion may be King of the jungle, but he’s a bit gullible. He has a way of stumbling into traps, nets, and even the occasional puddle. However, he’s lucky to have lots of good friends who are always willing to jump to his aid, including a particularly skilled mouse!